Stuffing recipes for chicken or turkey do come in a variety of forms, but very often, people tend to stick with their preferred option, frequently incorporating sage, onion, chestnuts, and the like with breadcrumbs. 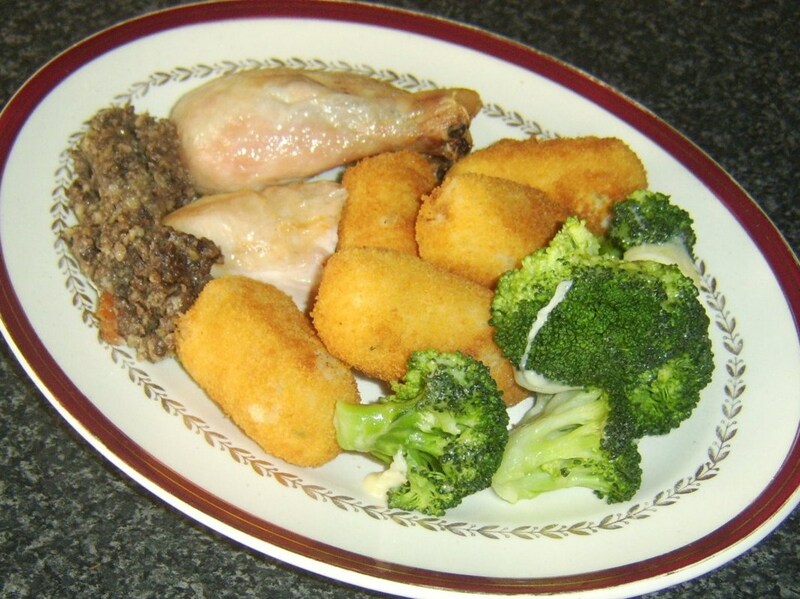 It is possible, however, to stuff a chicken in particular with a wide variety of different stuffing options due to its incredible versatility. This idea is an adaptation of Balmoral chicken, a classic Scottish dish where chicken breasts are stuffed with haggis and wrapped in bacon. 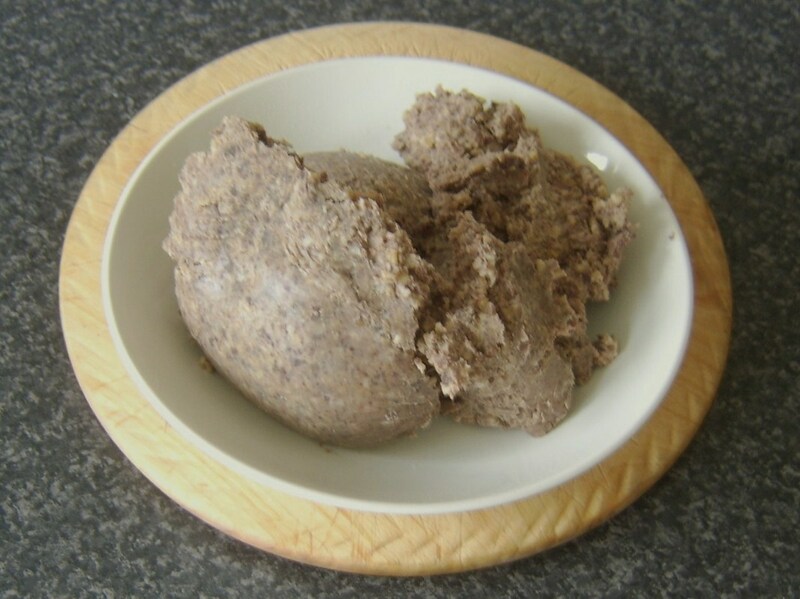 If you don't have access to fresh haggis, you could simply substitute it with hamburger meat infused with your own choice of herbs and spices. 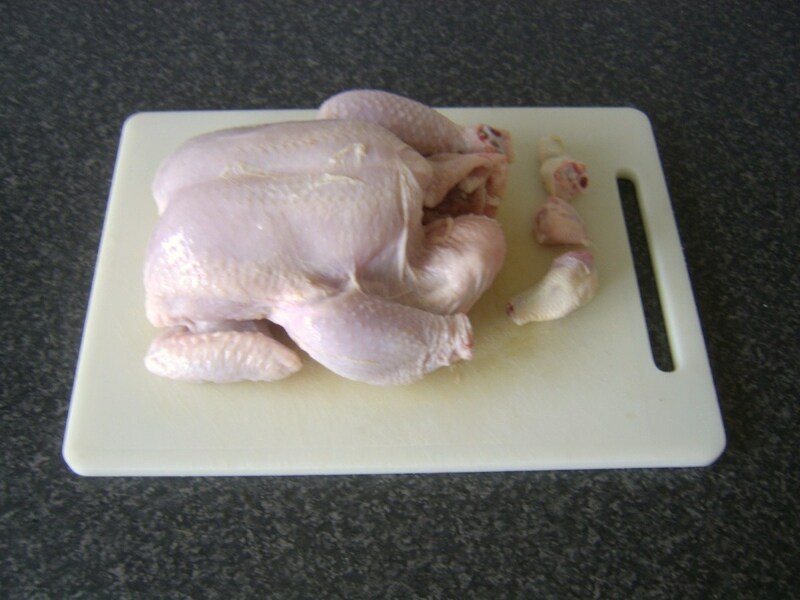 Sit the chicken breasts side up on a chopping board. It may be that the bottom, meatless leg sections of the bird have already been removed but if not, slice them away with a clever. Also cut off the parson's nose. 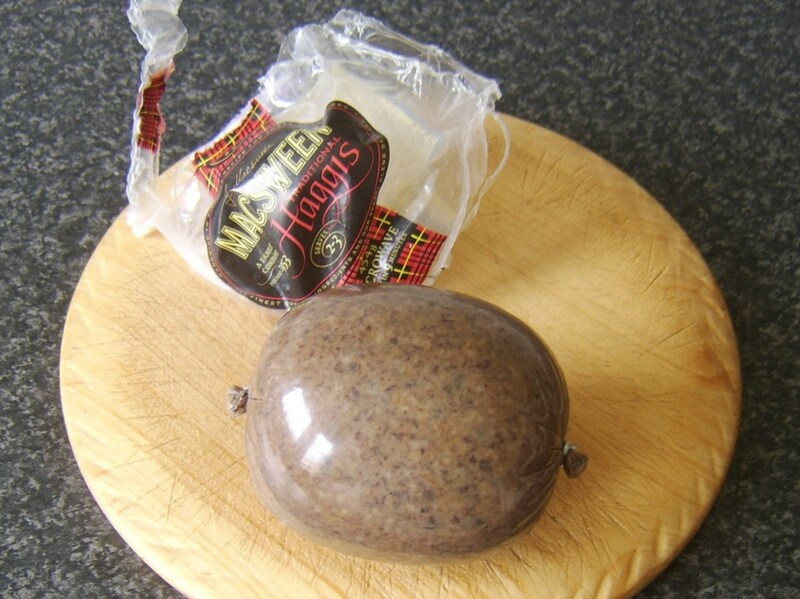 Unwrap the haggis (if appropriate), cut it open and squeeze the meat out in to a dish. 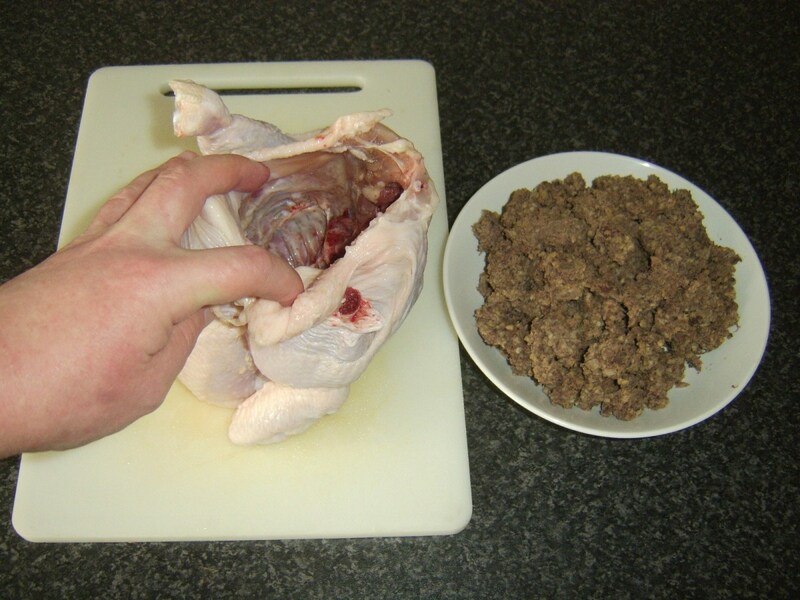 Hold the chicken with one hand and use your other hand to stuff the haggis in to the body cavity. You only want to fill about one-third of it as overstuffing can sometimes cause uneven cooking and a consequent, potential risk of food poisoning. 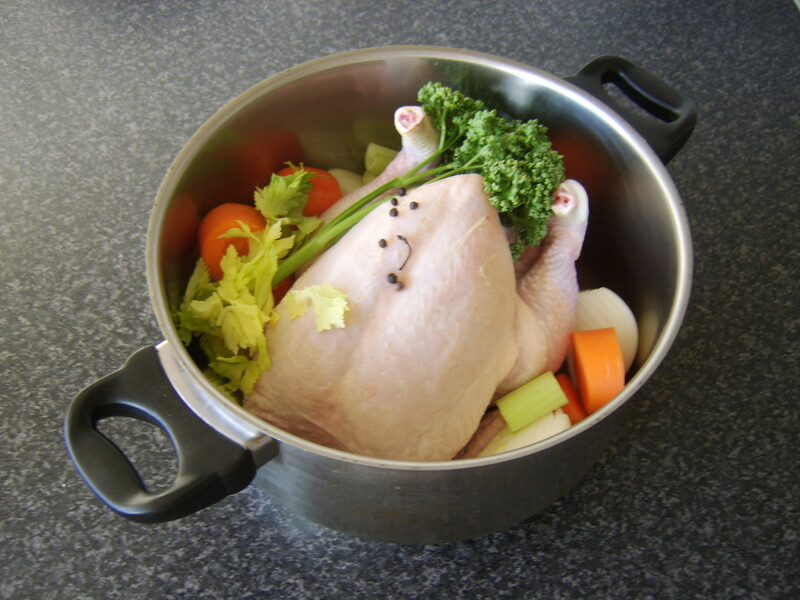 Weigh the stuffed chicken to allow you to accurately calculate the cooking time, which is twenty minutes per pound and twenty minutes over. 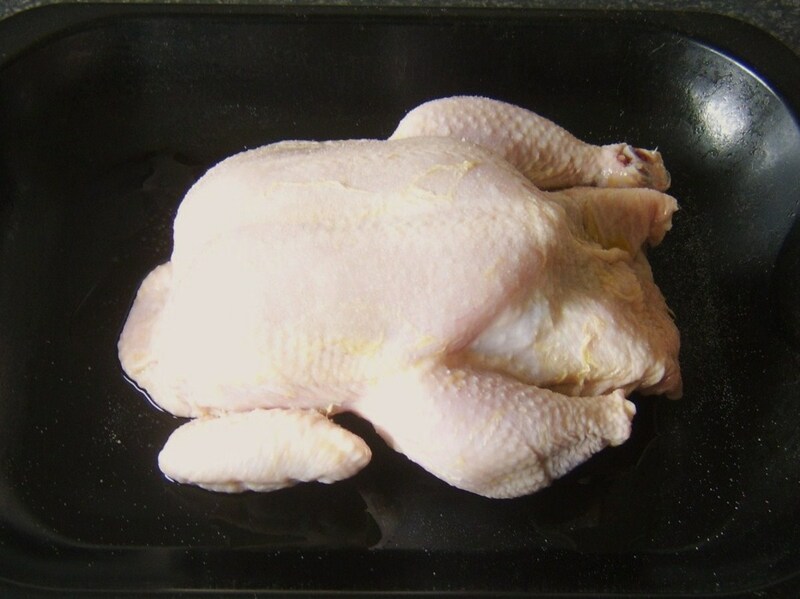 Lightly oil a roasting tray with olive oil and sit the chicken on it breasts side up. 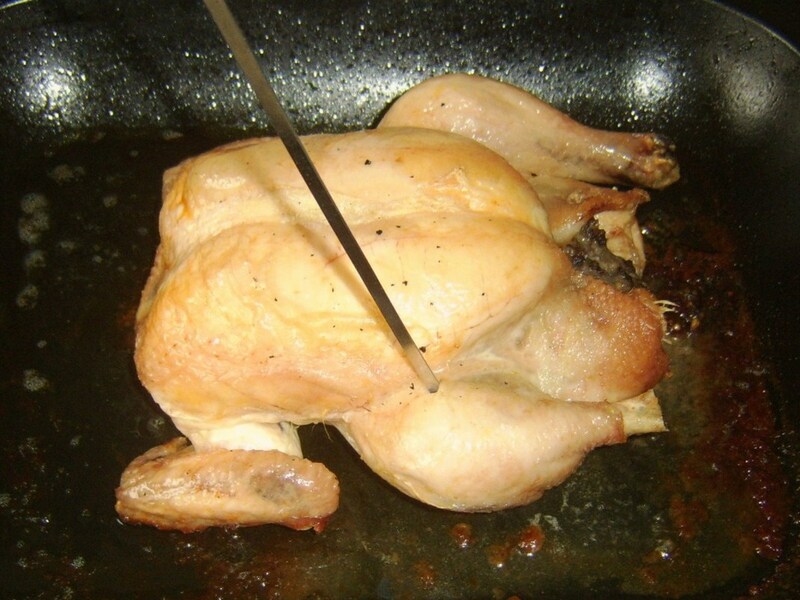 Drizzle the exposed surfaces of the chicken with olive oil and rub it in evenly, all over, with your hand. Season with salt. 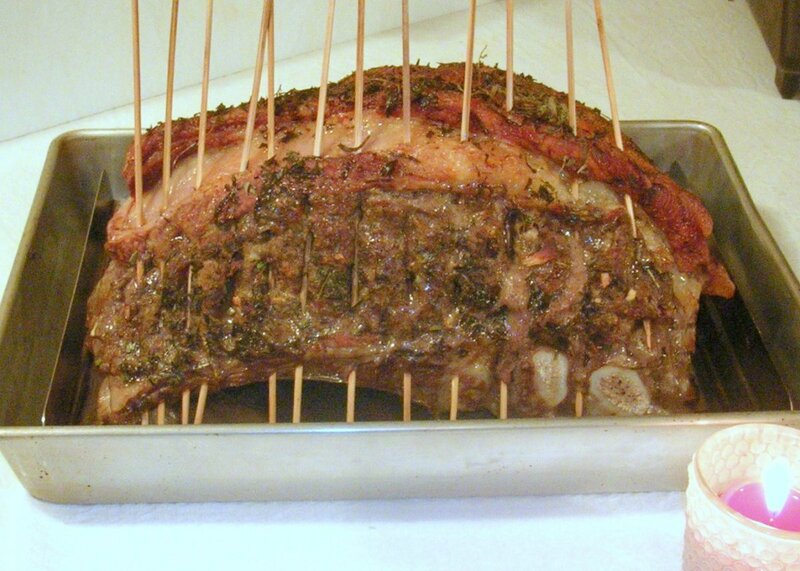 Put the roasting tray in to your oven for the time period you have calculated depending upon the gross weight. 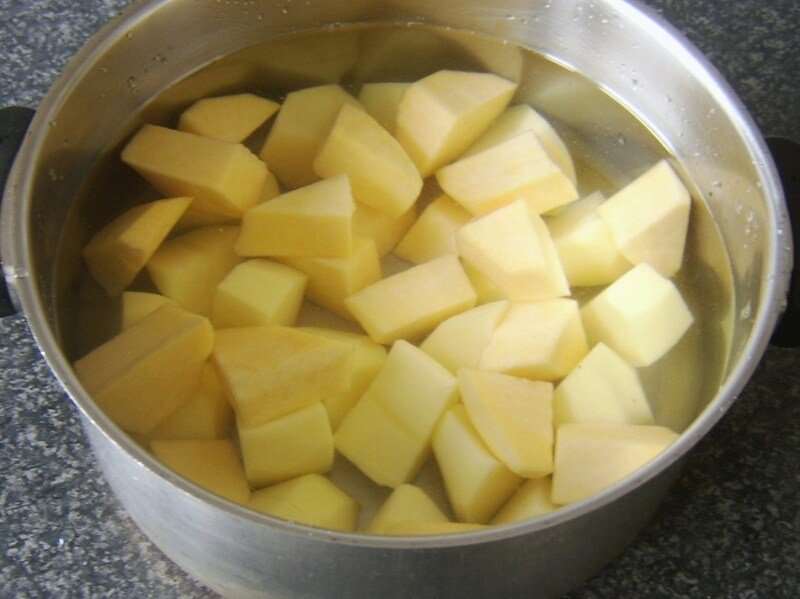 Put the peeled and chopped potatoes in to a large pot of cold water and leave to steep for ten minutes. This helps gets rid of the excess starch. 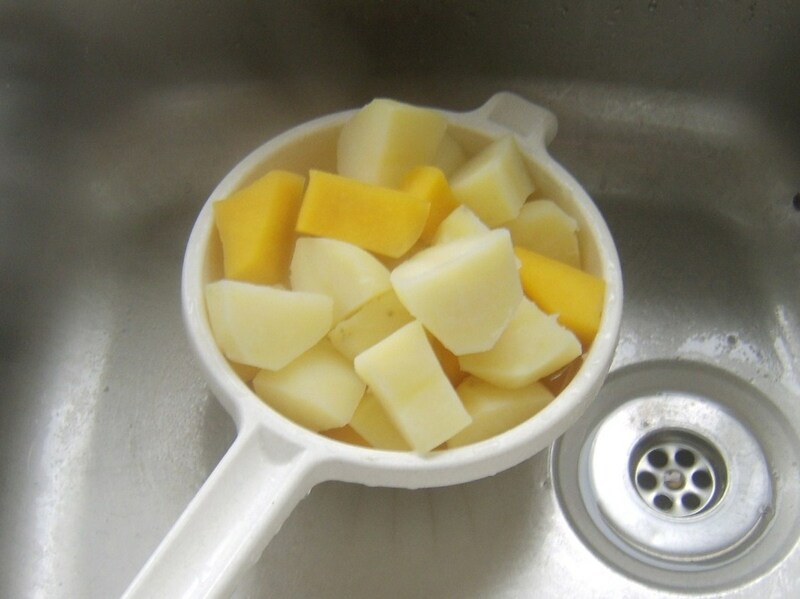 Drain well, return to the pot with the chopped Swede/rutabaga and add plenty of fresh, cold water. Season with salt. Put the pot on to a high heat until the water just starts to boil. Reduce the heat and simmer for about twenty minutes until the vegetables are just softened. Drain the vegetables and return to the empty pot. 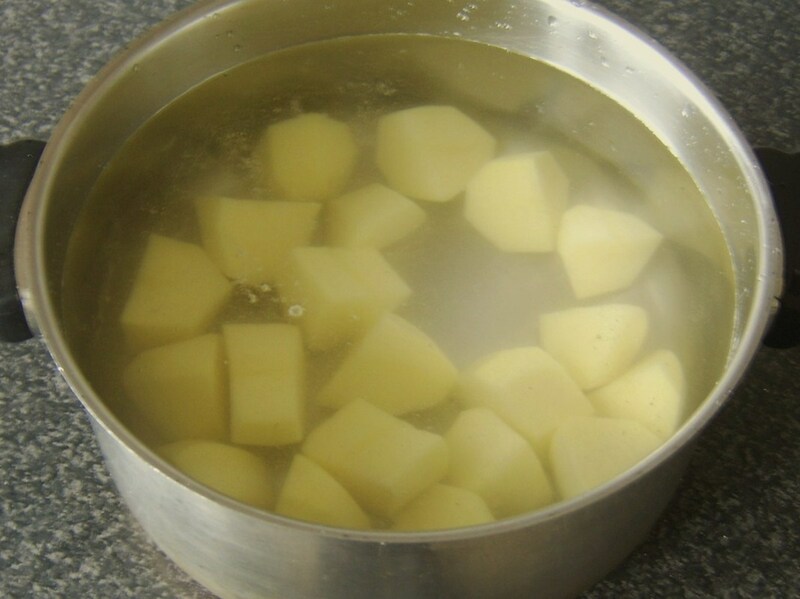 Allow to steam off for five minutes to get rid of the excess moisture. 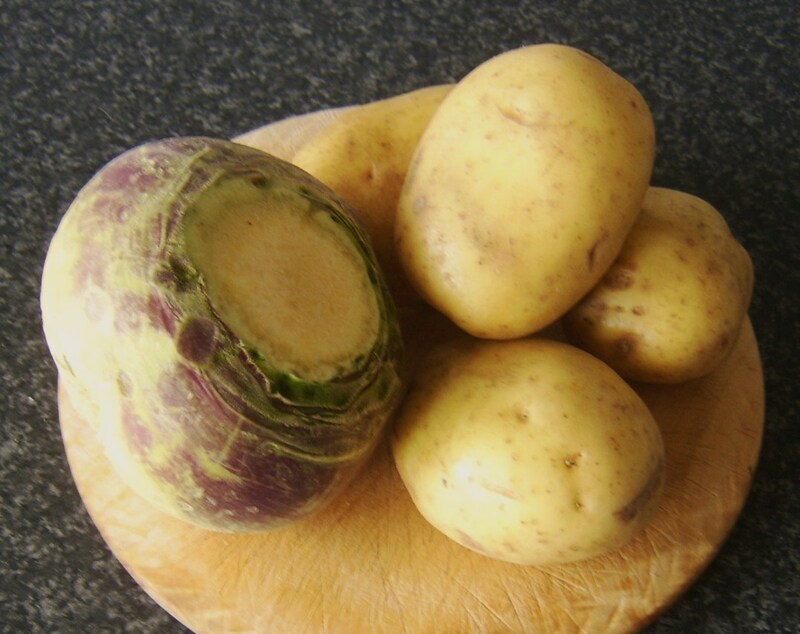 Add the butter to the potatoes and Swede and season with white pepper. Mash with a hand masher. 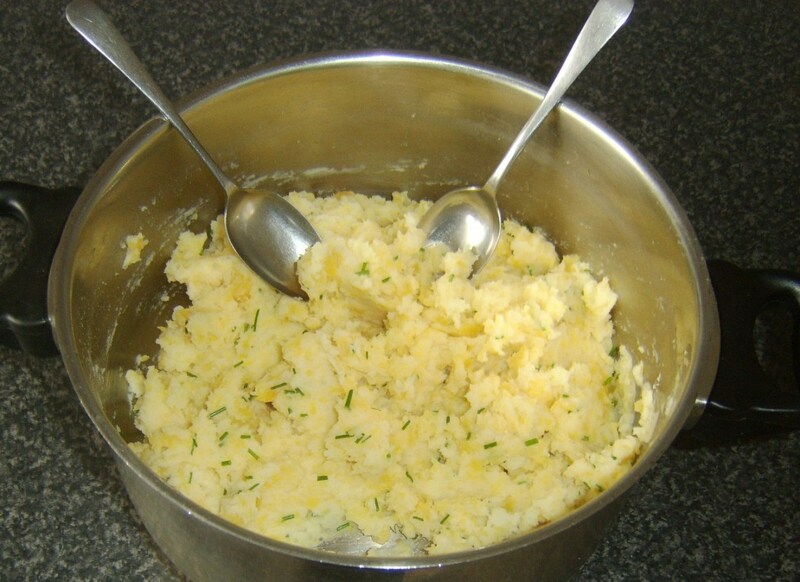 Stir the chives in to the mash, cover and leave for about fifteen minutes to cool slightly. 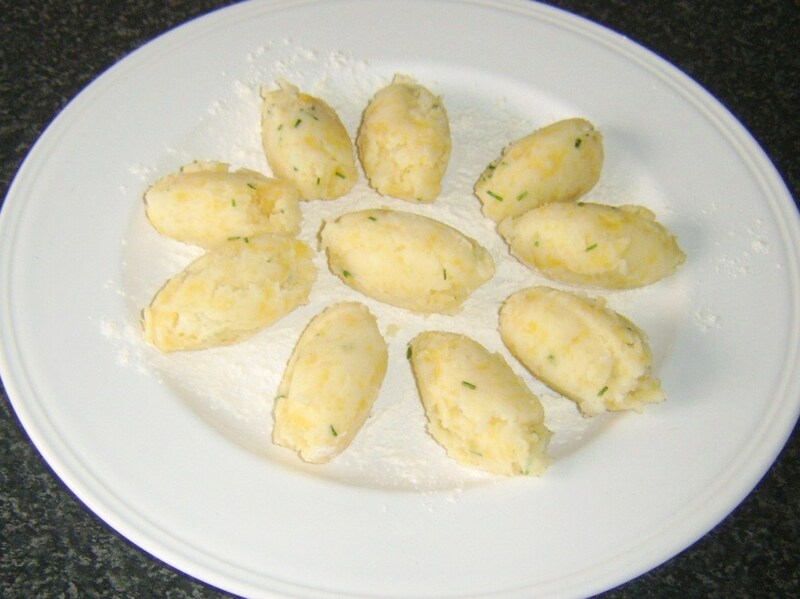 Take two dessert spoons and use them to quenelle lumps of the mash that they form approximate oval shapes. Allow five portions per person. Sit the quenelled mash on a lightly floured plate, cover and refrigerate until required for the next stage of the procedure. 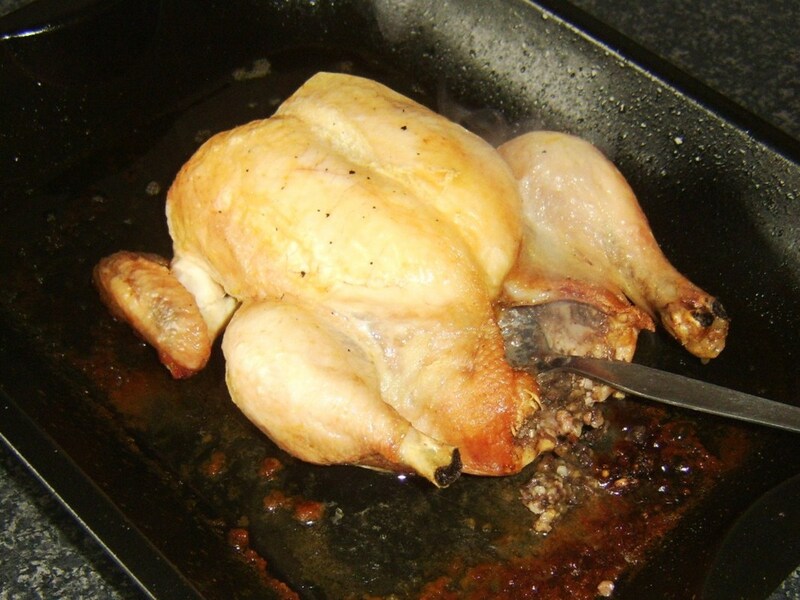 When you take the chicken from the oven, you have to check of course that it is fully and properly cooked. 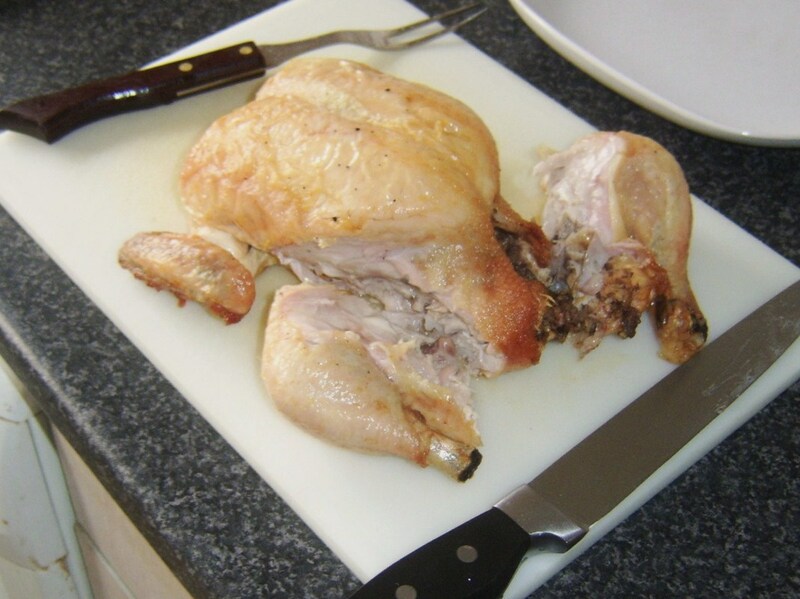 One easy way of doing this is to stick a metal skewer deep in to the thickest part of the thigh and ensure that no trace of red or pink remains in the escaping juices. 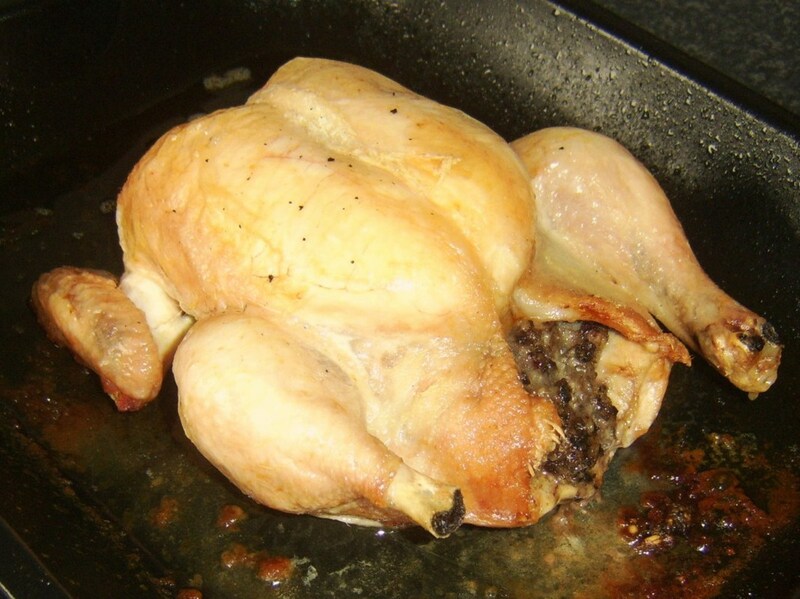 If necessary, return the chicken to the oven for fifteen more minutes and perform the same check a second time. 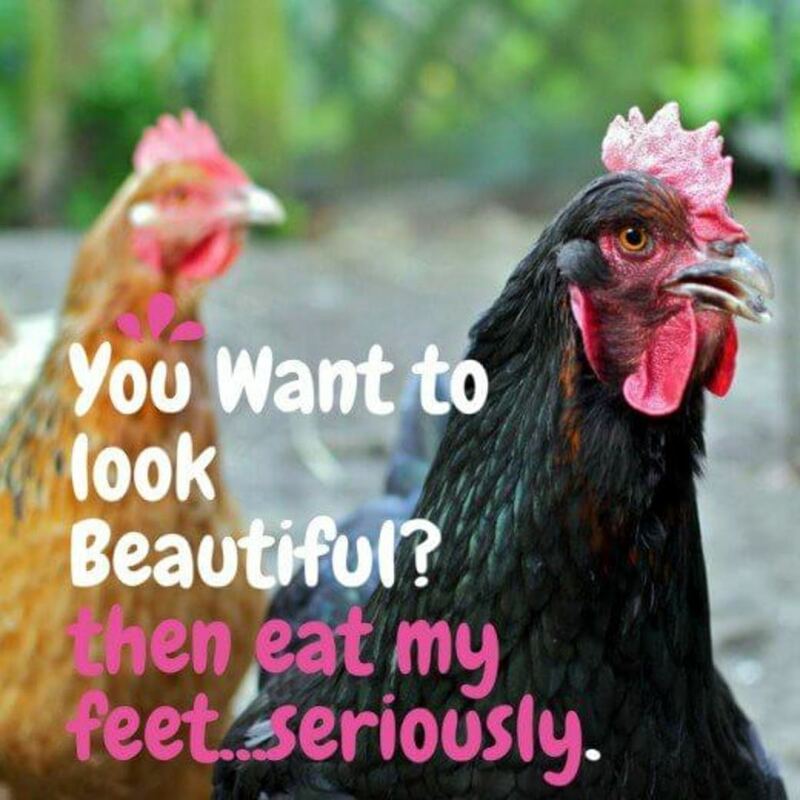 The chicken has to be rested for fifteen to twenty minutes before it is portioned or carved. 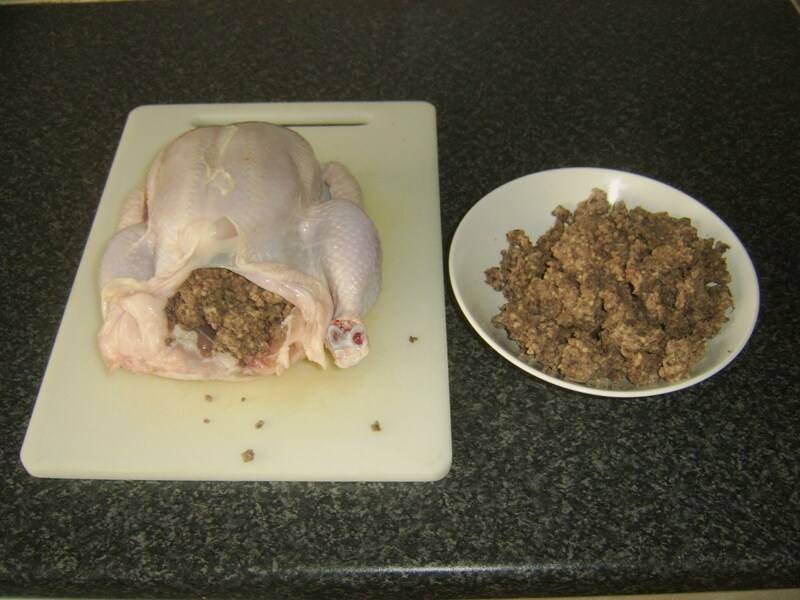 If you wish, you can leave the haggis stuffing where it is during this time and it will keep fairly warm but in this instance, it was removed to a food flask to be kept piping hot. 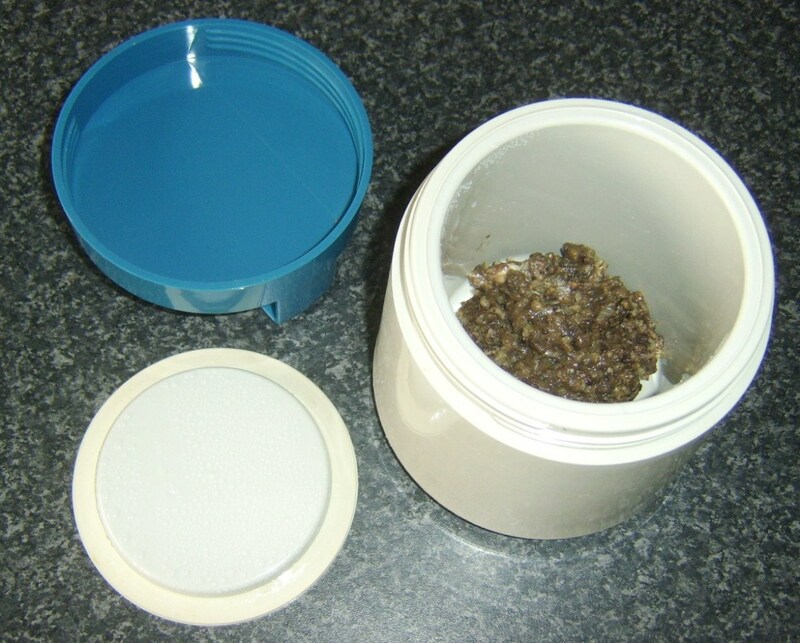 Be sure to warm the food flask first with boiling water and dry before adding the haggis. 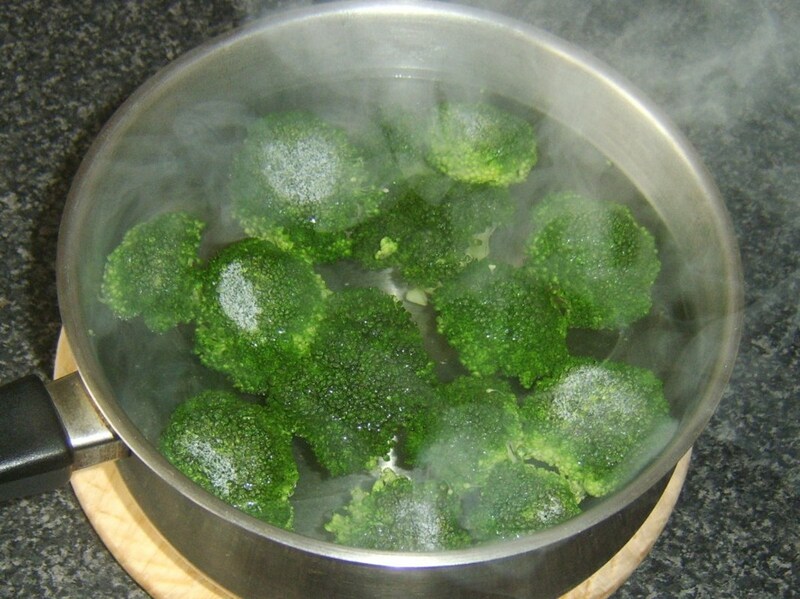 The broccoli florets are added to some boiling, salted water to simmer for eight to ten minutes until just softened. 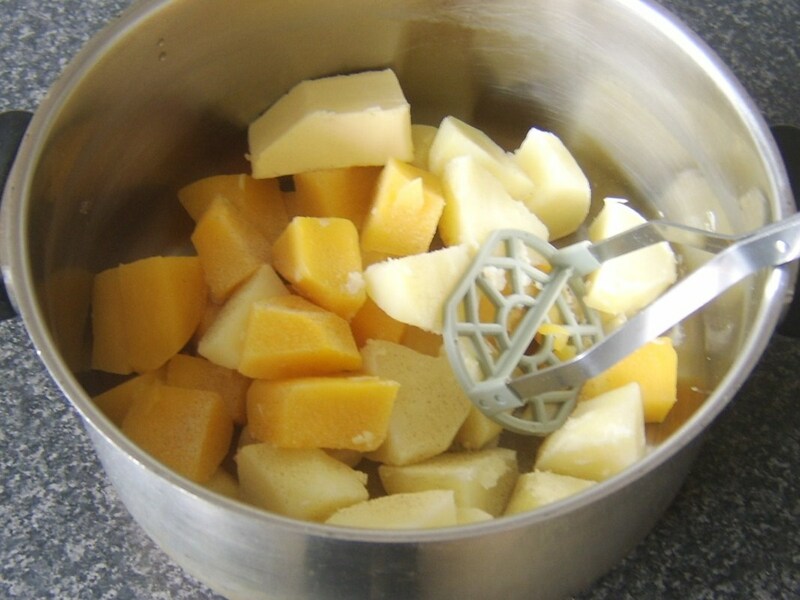 Start a deep frying pan with at least an inch of vegetable oil in it heating to a medium to high heat. 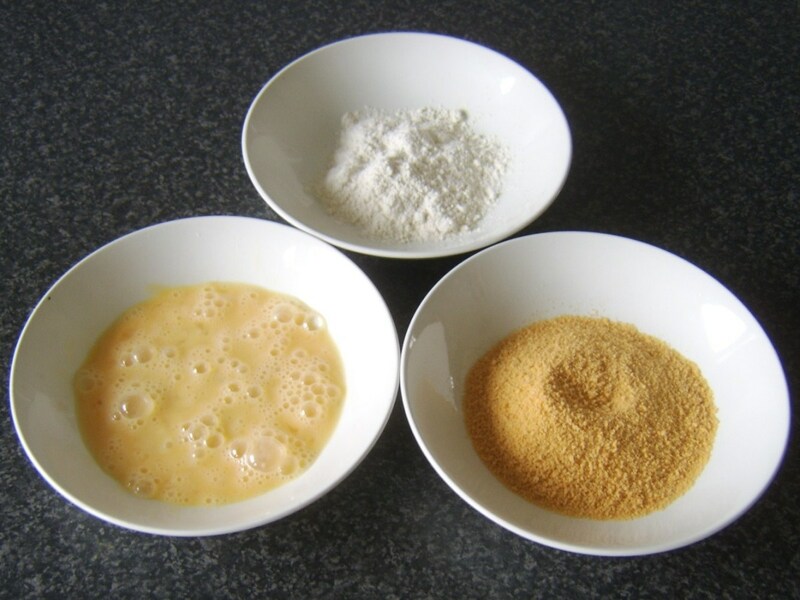 Put the flour, beaten egg and breadcrumbs in to three small bowls. Take one quenelled piece of clapshot at a time and roll in the flour, dip in the egg and roll in the breadcrumbs to coat evenly. 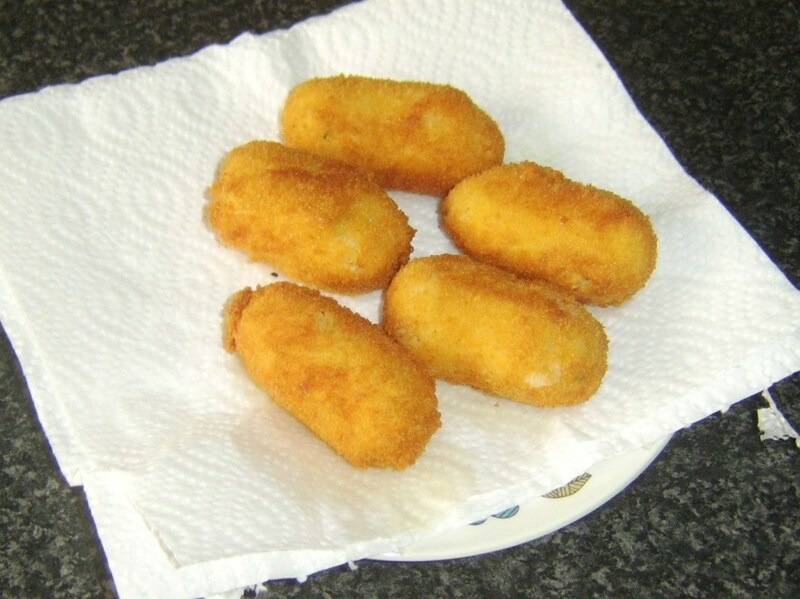 It is important not to overload the frying pan when deep frying the croquettes. 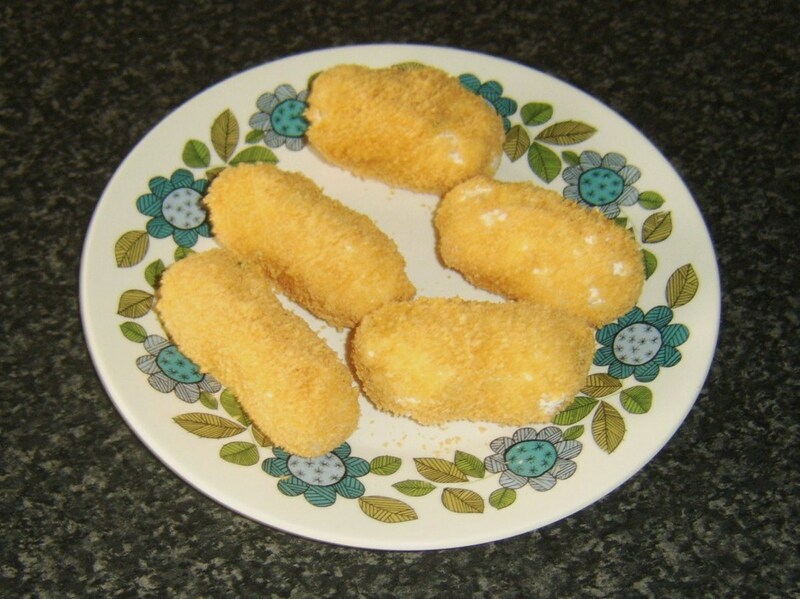 Five of these items were fried at a time for three or four minutes, turning occasionally, until crisp and golden. 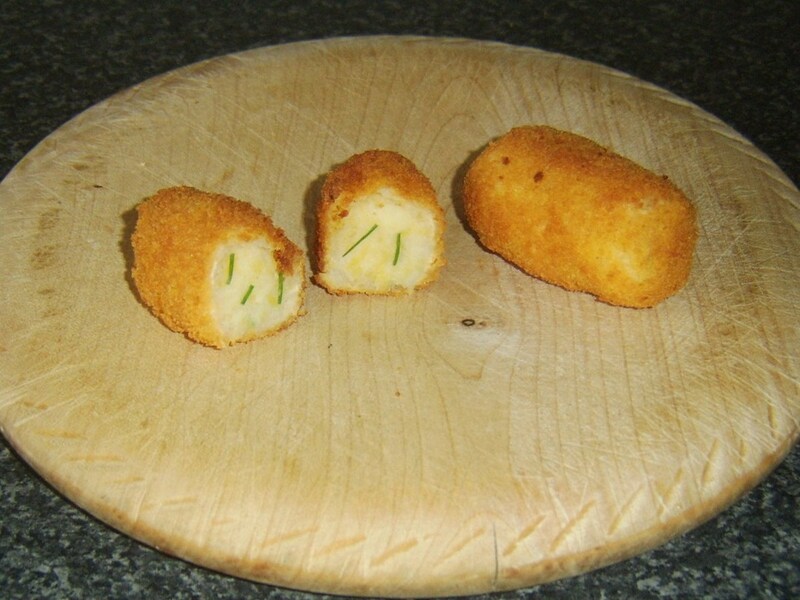 Drain the croquettes on a plate covered with kitchen paper. The broccoli could of course simply be drained and served as is. 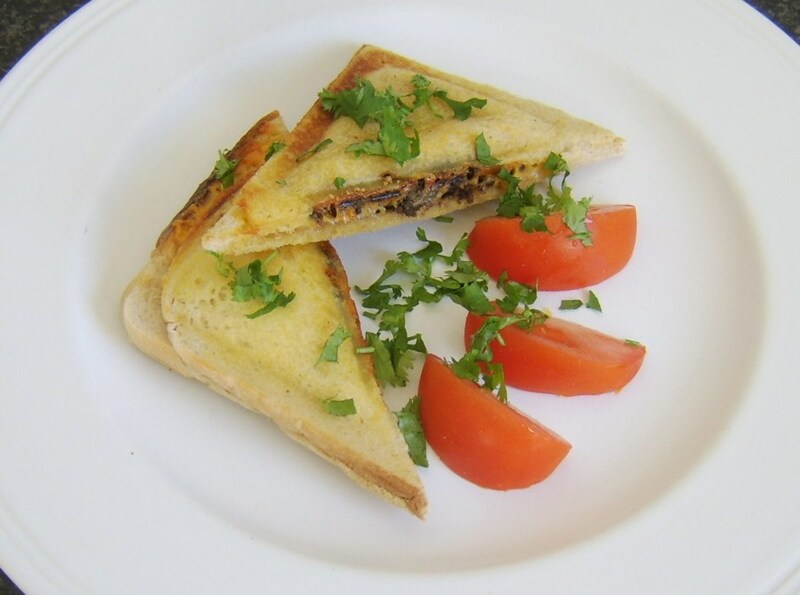 As a further alternative, you could mix the cheese with breadcrumbs to form what would become a crusty topping prepared in this way. 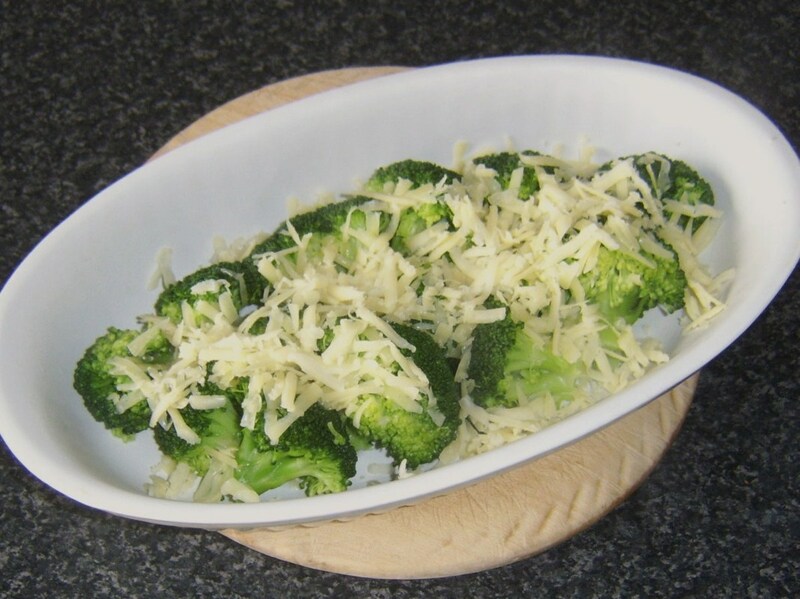 In this instance, however, the drained broccoli was added to an ovenproof dish and the cheese grated over the top. 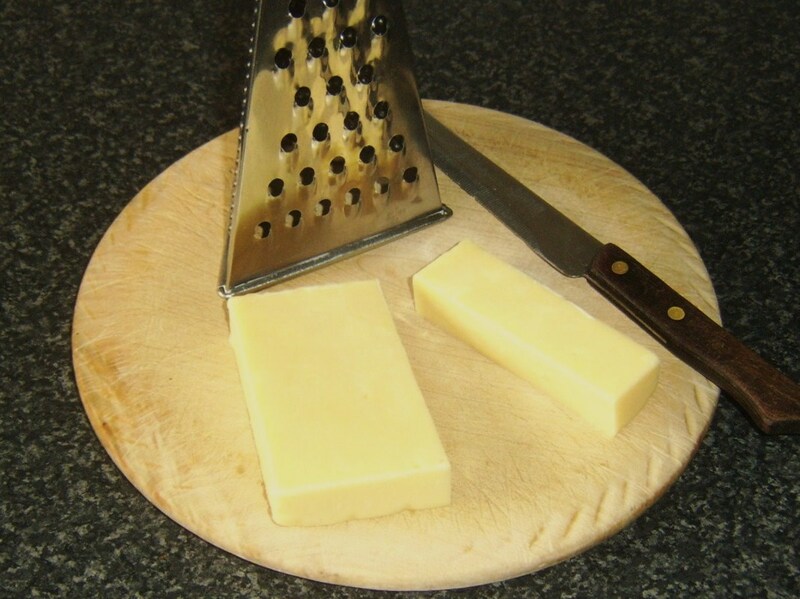 It was then added to a medium oven just for two or three minutes to melt the cheese in to a very subtle sauce. 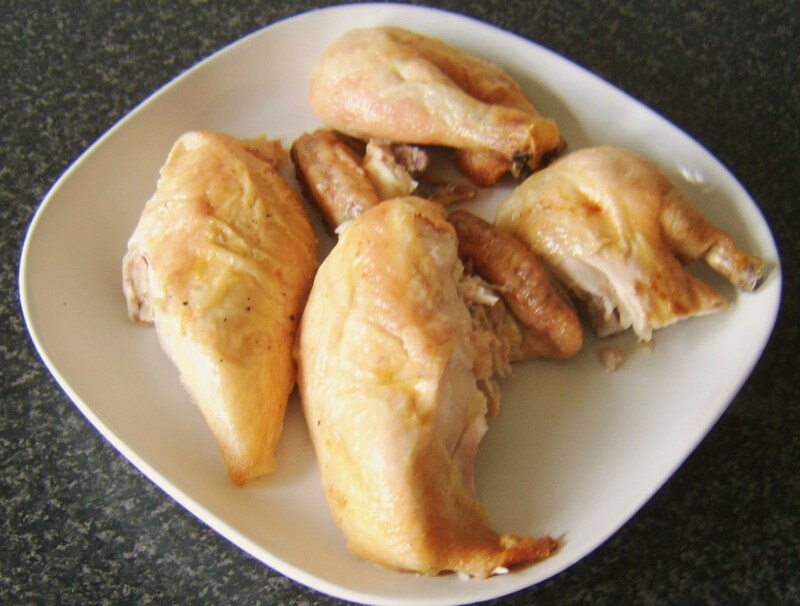 The rested chicken can be carved or portioned any way you wish and this is therefore merely a suggestion. 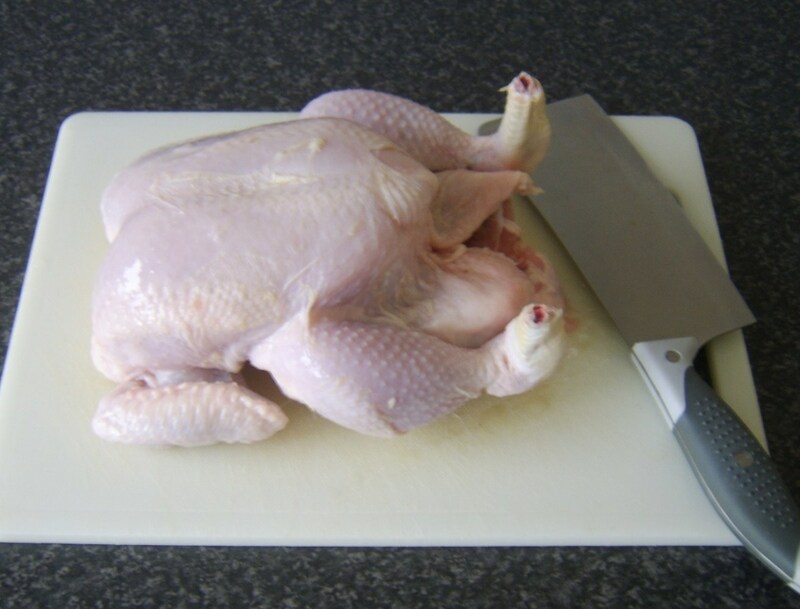 Lay the chicken on a chopping board and begin by slicing off the legs portions. Remove the wings by cutting through the flesh around where they join the main body and popping them free. Slice carefully down either side of the backbone and over the ribs to remove the two breast fillets. 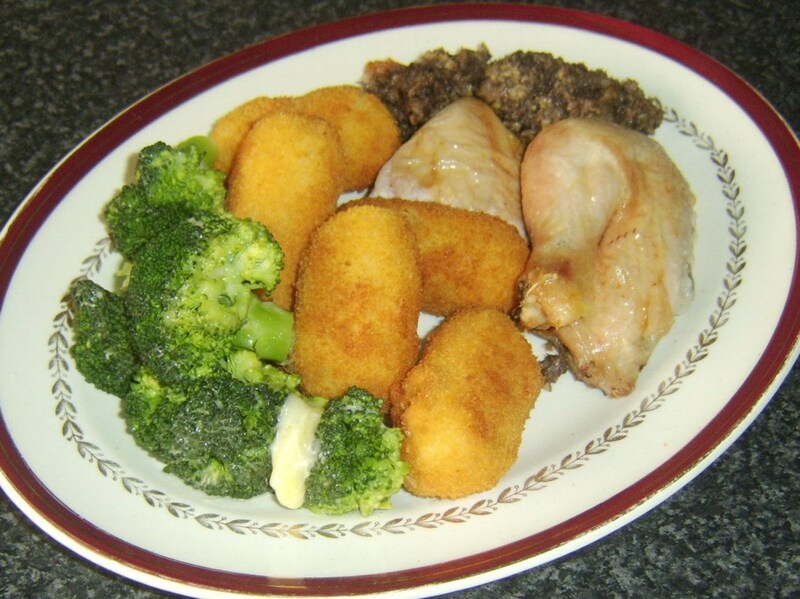 Put a chicken leg portion and breast fillet on each serving plate, along with a spoonful of the haggis. Take the broccoli dish from the oven last of all. 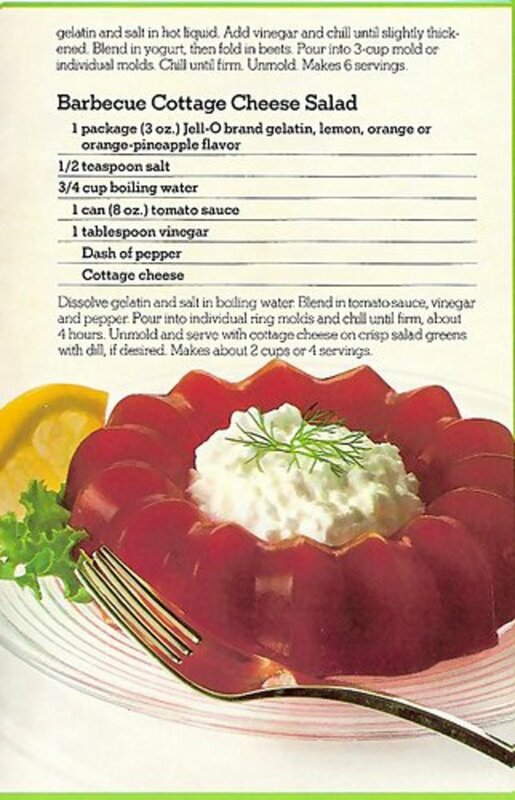 You will see the cheese has melted and sunk to the bottom of the dish. Divide the broccoli between the two plates and spoon over the cheese. 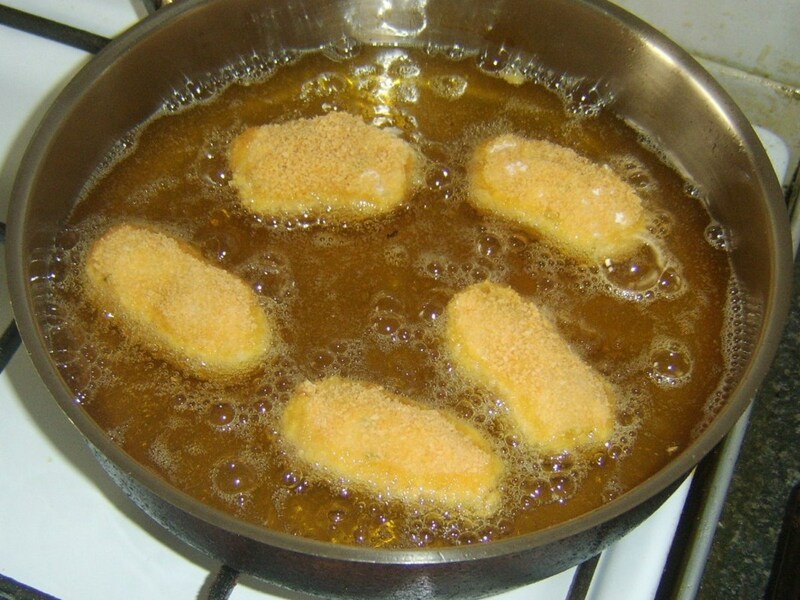 When you deep fry anything coated in breadcrumbs, you will find quite a resulting mess is generally made of your oil. This is actually for two reasons. 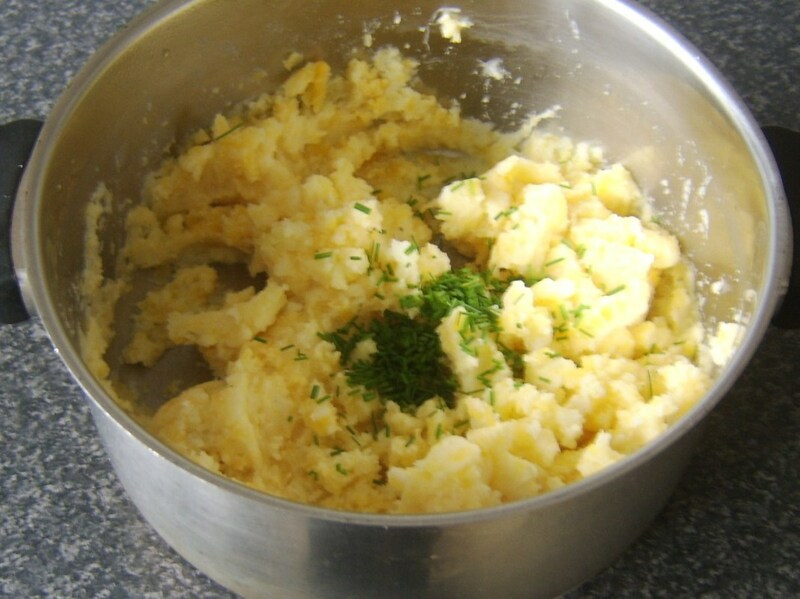 Firstly, many of the breadcrumbs will come free in the oil, requiring later removal. Also, although you remove the cooked items when done to your liking, the leftover breadcrumbs continue to sit in the hot oil as it cools, essentially becoming burned. If you try to reuse the oil with these breadcrumbs still in it, you risk spoiling whatever food you are cooking at that time. This is a really easy way to clean the oil and eliminate the more expensive option of having to replace it on each occasion. 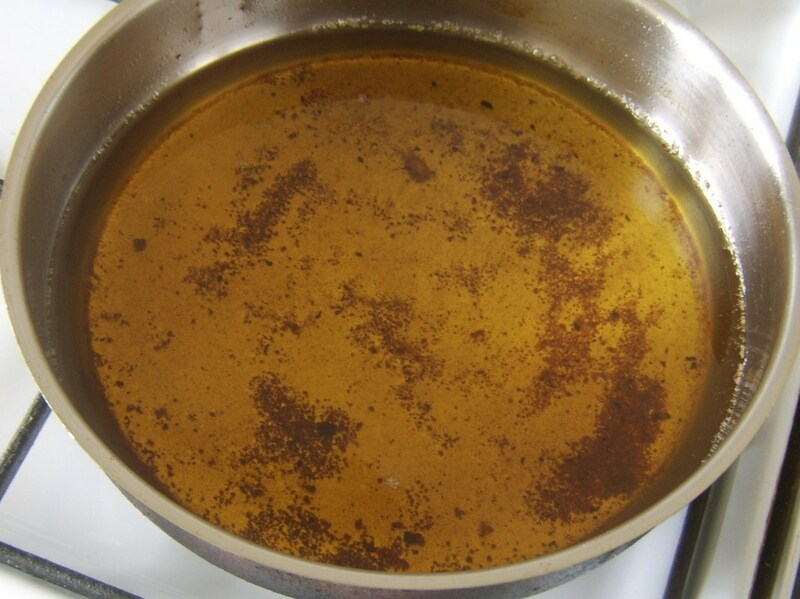 Allow the oil to cool completely. 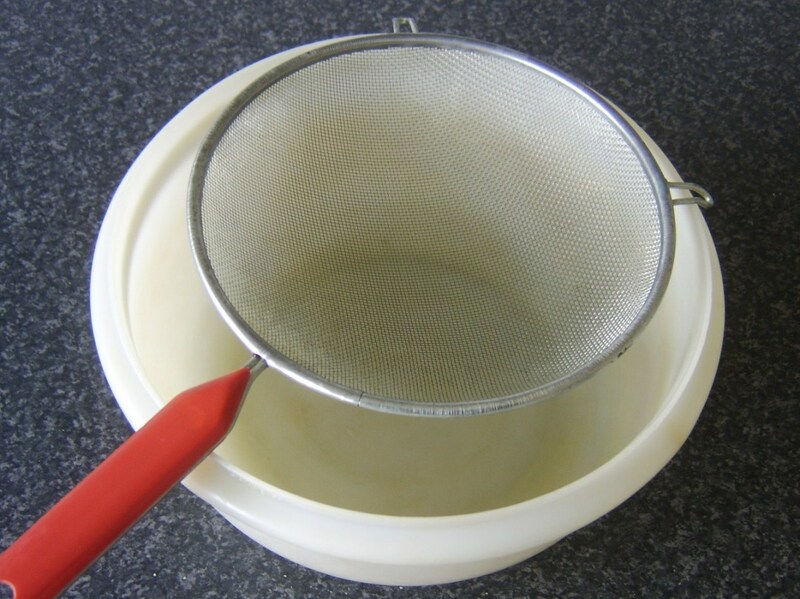 Suspend a sieve over a large bowl and line the sieve with a couple of sheets of kitchen paper. 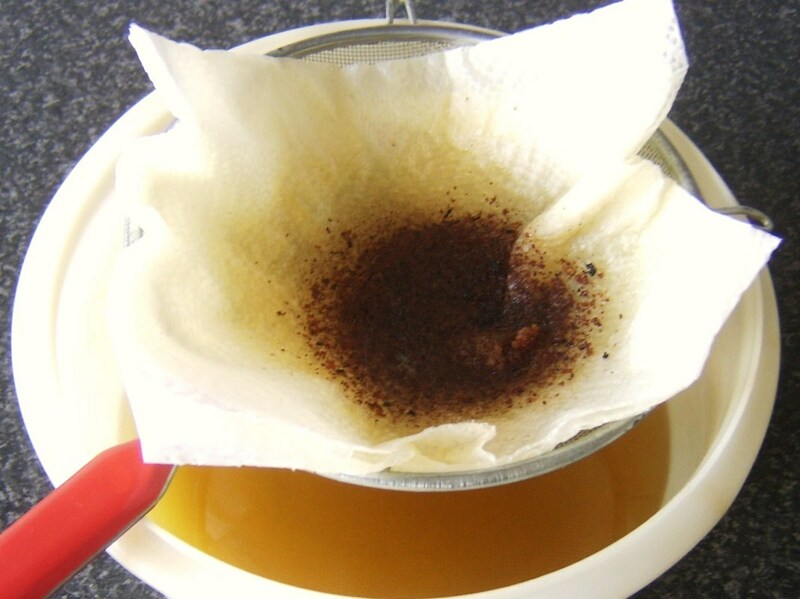 Slowly pour the oil in to the sieve. You will need to do this in stages. 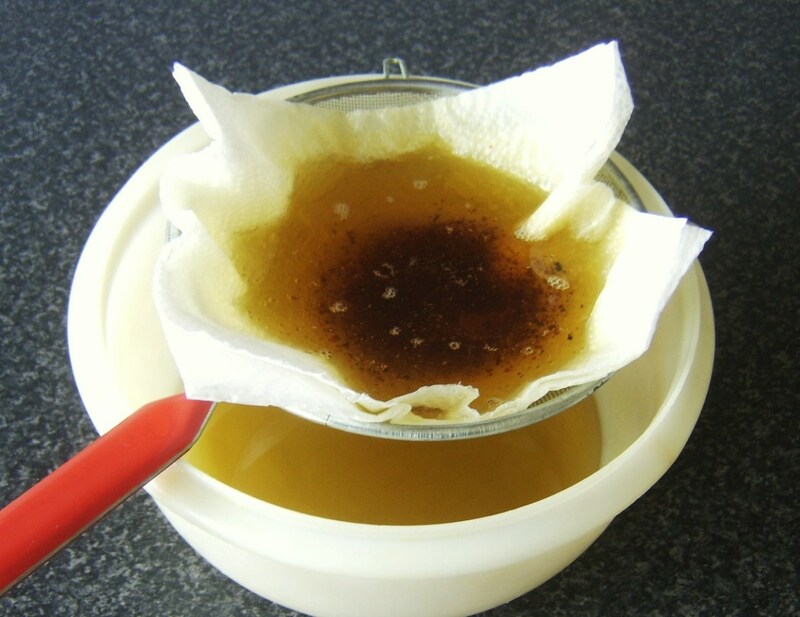 Leave the oil to drain through the paper and the sieve. The paper will retain most of the impurities. 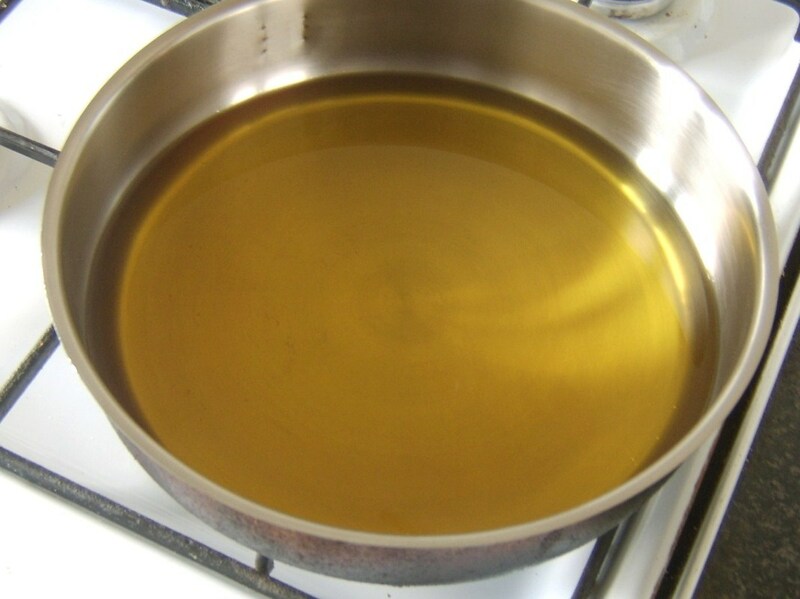 When you have poured the last of the oil in to the sieve, wash your pan and have it ready to receive the cleaned oil.